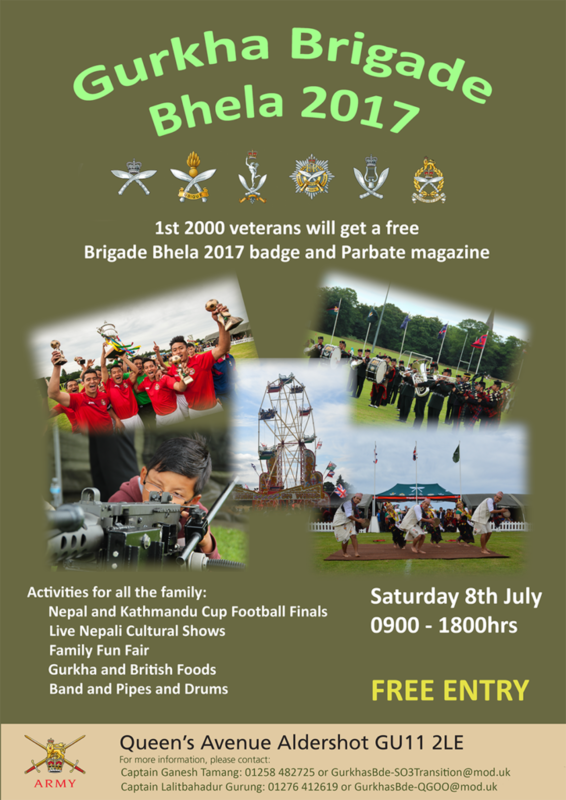 The Brigade Bhela and Nepal and Kathmandu cup finals will take place on Saturday 8th July 2017 in Aldershot. We would like to see as many of the community and our family at this event as possible. The 1st 2000 veterans will get a free Brigade Bhela 2017 badge and a cop of Parbate magazine. Gates open at 0900hrs and the event closes at 1800hrs.